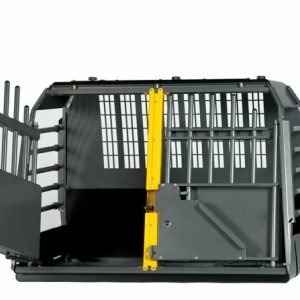 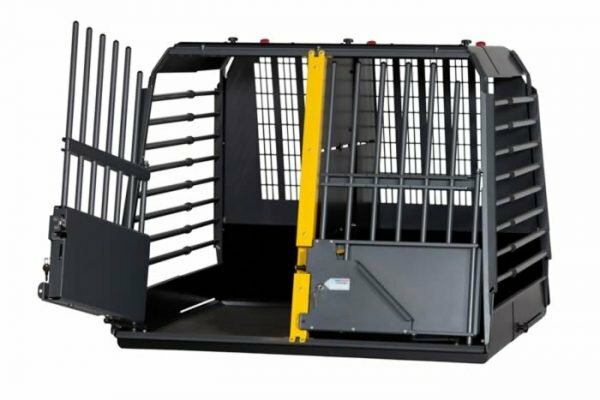 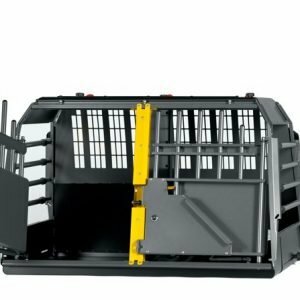 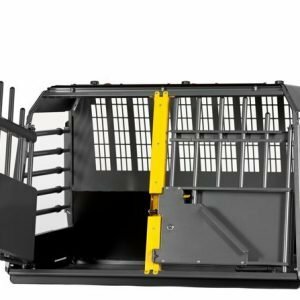 The MIM Safe Variocage Double features a movable center divider that is easily adjustable if one of the dogs needs more space. 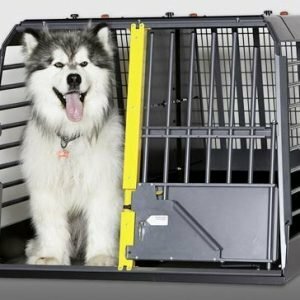 If you have a large dog or if you want to give a single dog more space, this center divider is easily removed. 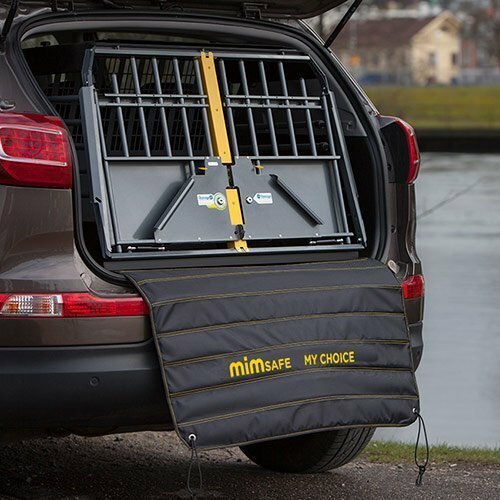 The flexibility of the MIM Safe Variocage can easily be tailored to the dog and the vehicle by the owner. 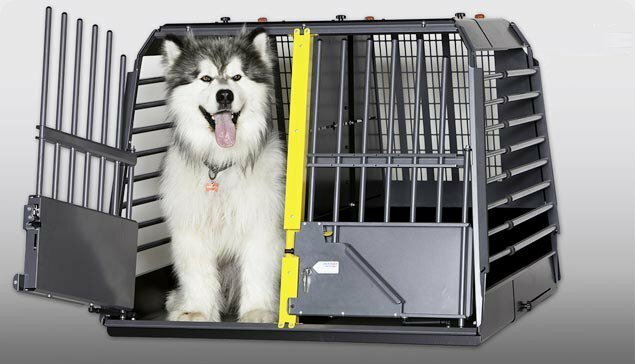 Please Note: This item ships via FedEx Direct Signature Required. 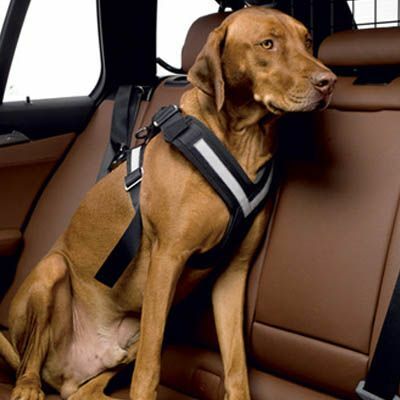 Keeps your dog safe when jumping on and out of your Vehicle. 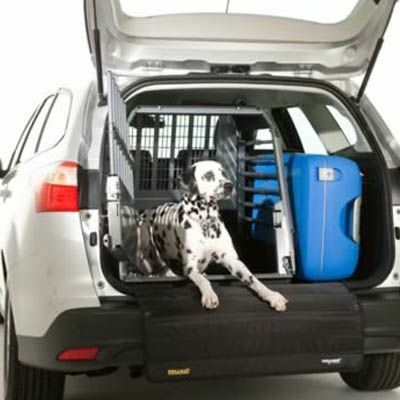 Protects your Dog's paws and Claws from getting caught in the Door Latch or Gaps between Door Frame and Cargo Floor. 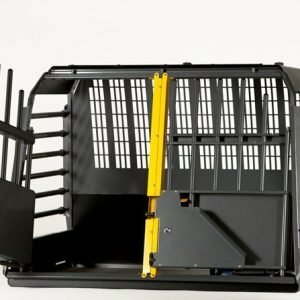 Textured surface helps protect your Dog from slips and falls on wet surfaces and slippery bumpers. 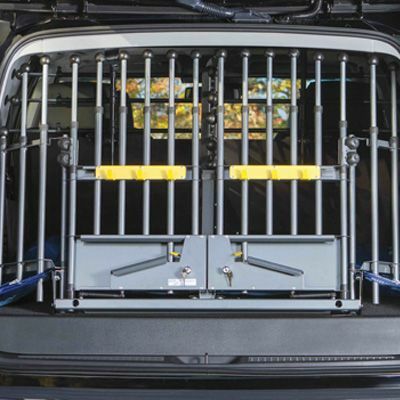 Protects your car and bumper from dirt, water and sharp objects, such as claws. 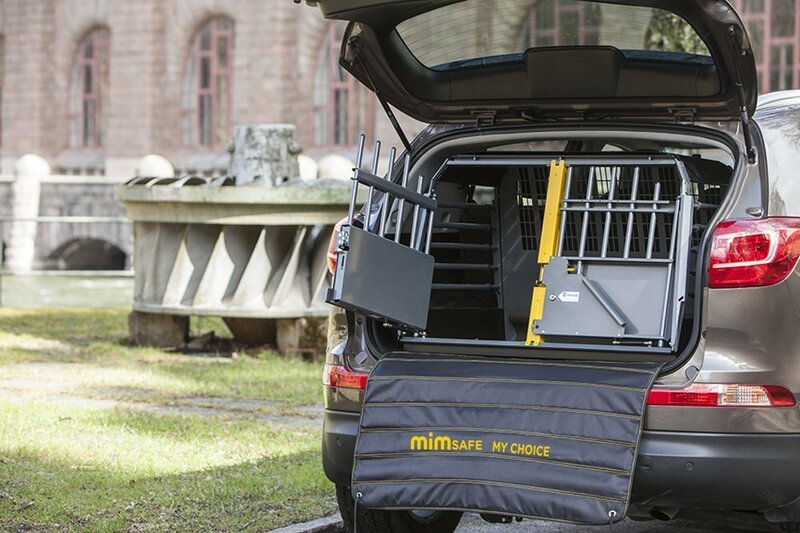 The MIM Safe Cover is the perfect size for our Variocage Single models. 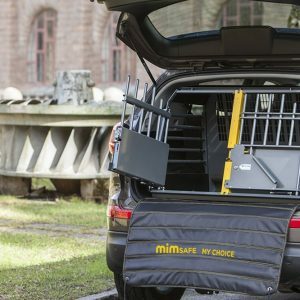 The MIM Safe Cover + is wider and ideally suited for our Variocage Double models.